Ably assisted by Inspector Athelney Jones of Scotland Yard, a devoted student of Holmes' methods of investigation and deduction, Frederick Chase must forge a path through the darkest corners of the capital to shine light on this shadowy figure, a man much feared but seldom seen, a man determined to engulf London in a tide of murder and menace. Read by Julian Rhind-Tutt. This audio edition also includes The Three Monarchs, a short story narrated by Derek Jacobi. Listening to the audio version of this was the best decision, I believe, as it made the surprises so much more surprising! It started off okay, and because of certain inconsistencies, at first I was a bit overwhelmed. However, as you get through the book, sooo many things make sense. Honestly, it was worth the five stars just for that. Also my pedant's ear, always on the lookout, only spotted a couple of tiny anachronisms in the language, nothing that spoiled the narrative. Heavens! It takes a brave man to take up the pen and try to extend the Sherlock Holmes legend. However, Anthony Horrowitz is just such a man. He produces a fast-moving adventure with plenty of action and possibly slightly more gore than you'd expect, though never overly gratuitous in my view. The foundations of a Holmes novel are here of course with a mysterr to solve, dastardly villains the two leads in Detective Athelney Jones and Pinkerton agent Frederick Chase. They are obviously there to provide a similar chemistry to Holmes and Watson but they are treated not as mere imitations but as characters and back stories in their own right. The way that Athelney Jones a minor character from the original stories is worked into the plot is particularly well done. All well and good but throughout the story there are continual hints that we are all missing something. I had all kinds of theories but the twist when it comes really does send a jolt through the senses and it's a genuine double take moment when it happens. I'll definitely say no more because to do so would be to risk ruining it. I'm sure it will divide opinion but there are some lengths taken to "reveal all" which helps. The narration is very good and although not all accents were fully convincing to my ear the different characters were easy to distinguish and the drama maintained throughout. In summary I felt this was a very fine effort and well worth a credit and the time spent. The big twist will most likely be the telling point for how most readers regard the book. I thought it was stunningly good and would highly recommend it! I enjoyed the first three quarters of this book - a rip roaring adventure through a late Victorian England brought to life by Horowitz 's writing. 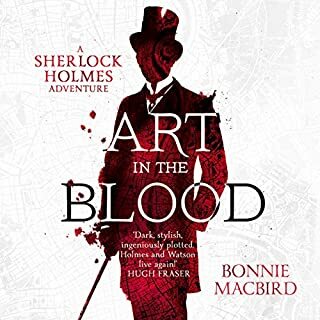 It was more violent than you would expect for a Holmes novel but the sensitivity of the two main characters, Jones and Chase helped to counterbalance this. 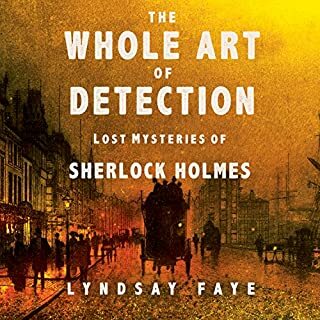 In fact I thought our Holmes and Watson replacements - their friendship and the way they approached the murky underworld they found themselves in, were the best things about the book. Jones is like a Holmes with failings, a more human version of the real thing. He even has a wife and daughter. Chase is an interesting take on Watson, an American narrator. The adventure progresses at high pace, in fact it hardly pauses for breath. There are lots of enjoyable twists and turns and the reader is aware that all is not as it seems. Then suddenly the ground shifts from under us by the greatest twist of all. Other reviewers have called it ingenious, audacious but I must say I agree with those who have said it is too clever for its own good. The result is to leave us feeling let down and frustrated. I wonder, does the author give the reader any credit for enjoying the rich world and characters created without the need to read the book for clues, like a mere crossword puzzle. I always used to enjoy all elements of Conan Doyle's stories - not just plot and denouement. I also always felt secure that although he might take us to some dark places, he would treat us gently and lead us to some sort of salvation. This is not the case is this book. I see the author smiling at his skill in manipulating the emotions of his reader. You are not in the hands of the master - read with caution! Have you listened to any of Julian Rhind-Tutt and Derek Jacobi ’s other performances? How does this one compare? I enjoyed the way Julian Rhind-Tutt injected excitement and emotion into the book. His American accents might have been dodgy, but I am English so that was no problem for me. I thought he carried the largely American narration very well, and it was a soft not grating accent which seemed to suit the character. An engaging story well narated. Yes - Perhaps not as in depth and detailed as House of Silk, but nevertheless an enjoyable journey. I must admit I sometimes find Holmes novels dry and hard work - to much meandering. This I found engaging but not taxing, a relaxing listen. The story is in the first person (Frederick Chase), and he sounds real. You can imagine yourself in his shoes - no magical leaps of logic, just common sense, action and fear. What about Julian Rhind-Tutt and Derek Jacobi ’s performance did you like? Excellent narration, easy on the ear, easy to understand and well read. 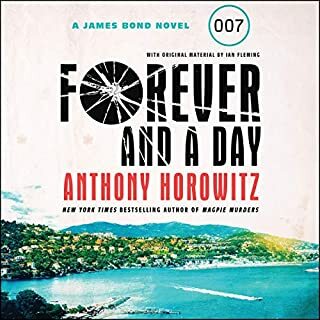 I would have perhaps extended it, filled in a little more detail and slowed the events slightly but that is my personal preference and I don't think it reflects on the success of the novel because Horowitz's style is fast-paced. What does Julian Rhind-Tutt and Derek Jacobi bring to the story that you wouldn’t experience if you had only read the book? Certainly, both are experts at evoking character and mood, a real treat to hear them read this novel! I usually listen to books in one sitting. I love Conan Doyle so was hesitant to buy this Novel in case it disappointed me. It didn't - it reimagined the world of Holmes and was different enough from The Adventures that it did not jar. It was really well executed and fell somewhere in-between Holmes and Bond - lots of fun to listen to! 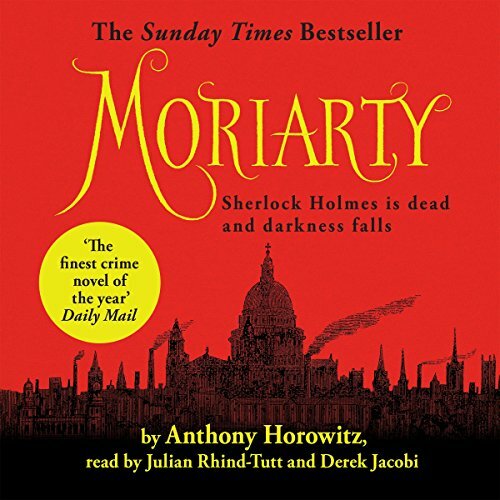 Would you consider the audio edition of Moriarty to be better than the print version? No idea. I've never read and then bought an audio version. I mean why would you do that? What was one of the most memorable moments of Moriarty? The torture scene. Not because of it's grave nature, because of the inter play between the two elements good vs bad, and the means of escape at the end. No. I never do. I hate this question. Oh my, this was good! The story, the characters, the narration, for me nothing could have been done better. And then, a total shock towards the end, one that I really didn't see coming at all... which made me smile about how I had been led by the nose! A perfect 11 out of 10 - if you thought the House of Silk was good then you're in for a real treat with Moriarty. 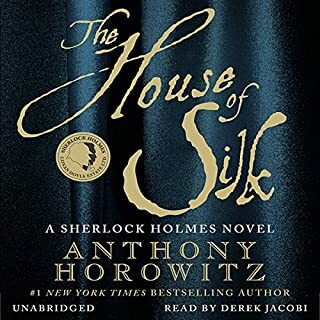 House of Silk is my favourite Audio book. This one is once again a superb story, it's just the American narration didn't click with me. I could not get into this book at all.maybe if the narrator was better it might have made it different. Would not recommend it at all. 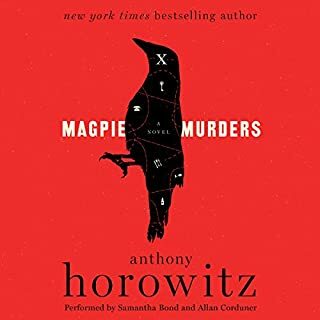 Horowitz writes very well and I enjoyed both the character development and the integration with the body of Holmes "lore". 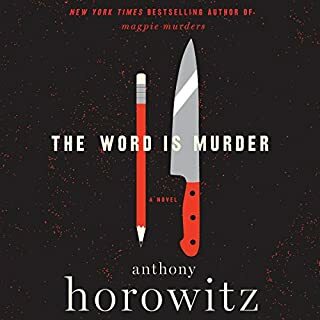 I though the twist at the end a little clumsy, but not out of keeping with Horowitz's playful approach to his material. I would read another Holmesian novel by Anthony Horowitz.